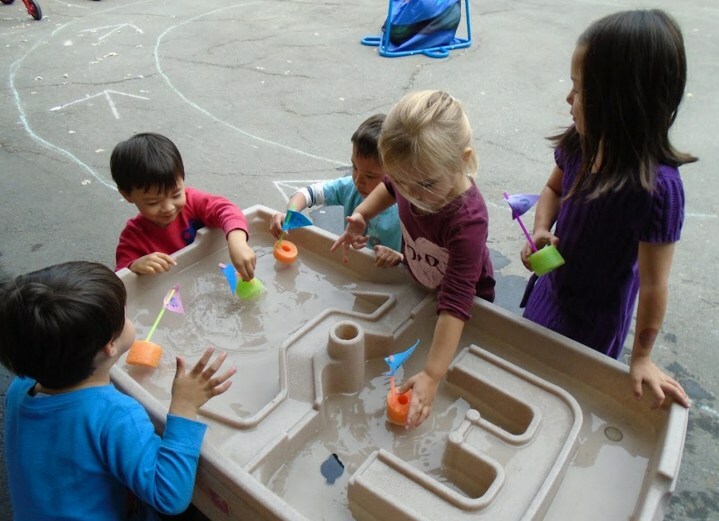 We offer a developmental, play-based, multi-sensory learning environment through our district-run preschool program, with multi-age groupings for children aged three (by September 2nd) through five years. Our full day classrooms are open from 7:30-5:30, M-F. The San Carlos School District Preschools are built on the principle that young children learn best through play. In our rich, developmentally appropriate environment, positive self-identities and proactive communication skills develop through hands-on experiences. As children engage in multi-sensory activities they are involved in experiences that build awareness of varied viewpoints. Children are encouraged to explore, invent, and discover ways to create their own unique understanding of the world. We also value family traditions and family involvement in the ongoing education of young children. We believe in building a strong community through mutual respect, cooperation, understanding, and open communication. To find out more about the preschool at White Oaks, please contact Sue Dawley, Program Director at sdawley@scsdk8.org or 650-632-8090. Go to the Smart-E website to learn more.